Help to support us as we work to change maternity care. Southwest Florida BirthNetwork is a chapter of BirthNetwork National, a 501c3 organization, and all donations are tax deductible. Greater participation in birth leads to greater participation in parenting. Women have the right to experience birth in a way that maximizes self confidence and trust in the wisdom of their bodies. Birth should not be a violation of women’s rights as thinking, feeling human beings. We are helping to build a national grassroots movement committed to making this vision a reality. We know birth can be safe, satisfying and empowering. Birth matters not only for a day, but for the rest of our lives and the lives of our children. Your financial support can make a world of difference for a pregnant woman and her family. Around the country, grass-roots organizations, called Birth Networks, are being developed to promote normal birth, the midwifery model of care, and mother-friendly maternity care practices. Birth Networks address the need for local accountability in maintaining the standards set by the Coalition for Improving Maternity Services (CIMS) and the World Health Organization. These standards for maternity care are encompassed in two documents. The first, entitled, “The Mother-Friendly Childbirth Initiative” defines and outlines steps towards maternity services that promote the normalcy of the birth process, the autonomy and empowerment of the parents, and the responsibility of the caregiver to implement evidence-based care practices. The mission statement of the SWFL BirthNetwork incorporates the mission statement of CIMS as well as guidelines set by Lamaze International and is designed to include a wide variety of methods, philosophies, and professions. The Southwest Florida BirthNetwork is an alliance of individuals and organizations in Southwest Florida with concern for the care and well-being of mothers, babies, and families. Our mission is to promote an evidence-based, wellness model of maternity care that will improve birth outcomes and substantially reduce costs. 1. 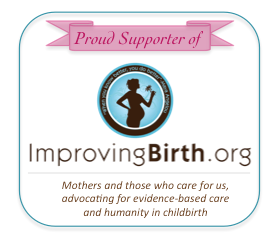 Provide information and education on evidence-based normal birth practices to consumers/expectant parents consistent with the Six Care Practices that Support Normal Birth and the Coalition for Improving Maternity Services (CIMS) Mother-Friendly Childbirth Initiative. 2. Assist consumers in identifying professionals, health care providers and facilities in the community that support normal birth care practices. 3. Promote awareness and availability of community resources that support normal birth. This option is available for local Doulas and Childbirth Educators who wish to donate gift certificates to the SW Florida BirthNetwork. Your logo and name will be listed on the Donor Spotlight page of our website with a link to your website. You will also be acknowledged as a Birth Partner in our next printed guide. All women should have access to the resources they desire to create safe and positive birth experiences, regardless of their ability to pay. Our Birth Partner Program was established to improve access to childbirth education classes and Doulas for families with financial need in the Southwest Florida area. Your financial support can make a world of difference for a pregnant woman and her family struggling to afford these childbirth-related services.